Y’all ready to get FUNKY?! I understand if you say no. I don’t know how I feel about someone asking me if I’d like to get funky. But if it dealt with bubblegum vodka, then I wouldn’t mind what enticing term they’d use–I’d be all over that ‘ish like white on rice! I know this isn’t my usual cupcake or ooey gooey bar, but that’s why I like it. It’s different. Experimental. Interesting. I bet you’ve never made your own vodka, have you? Technically I didn’t ferment any potatoes or anything fancy to make this. Hell, I can’t even bake a potato, much less ferment one for weeks in some technological harvesting system to make my own vodka. By “make”, I simply mean I jazzed it up a bit using my favorite flavor in the whole wide world: bubblegum. If that’s a shocker to you, you must be new here. So hello, I’m Hayley, and I am downright addicted to bubblegum. So much that I threw some in ice cream, cookies, cupcakes… and now, vodka. It’s actually REALLY easy. 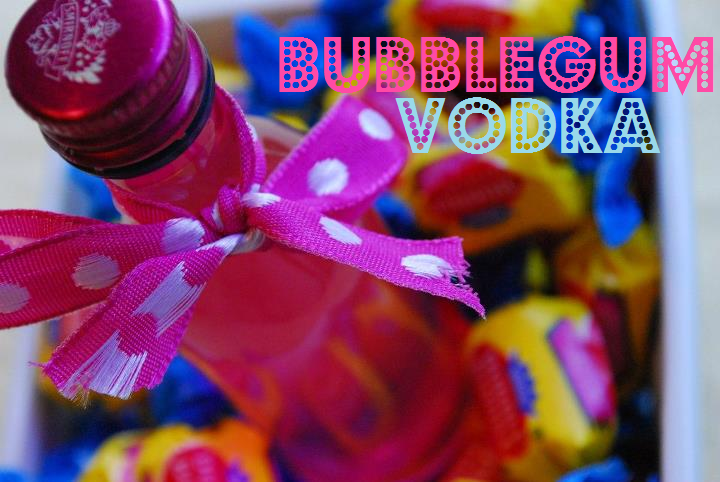 All you need is vodka, some bubble gum, and patience. Unfortunately, I lack the latter so in the meantime, I drank my sorrows away with liquor far less cool than bubblegum vodka until it was ready for my excited and thirsty face. 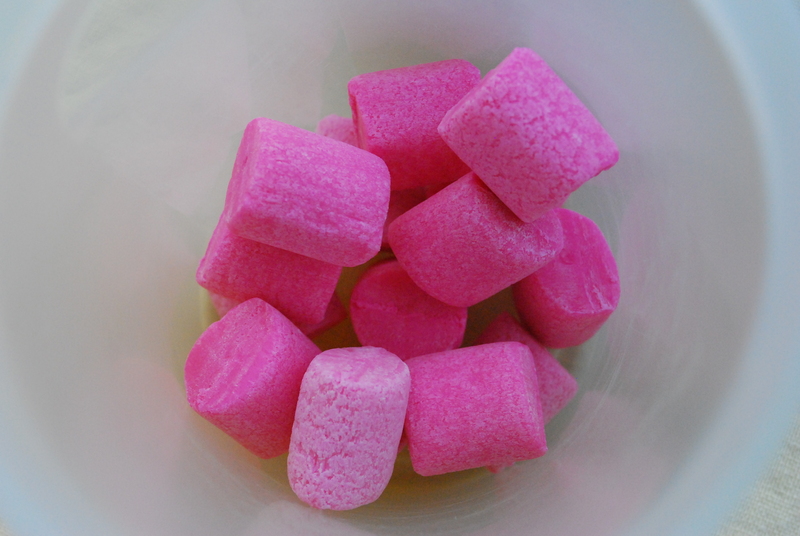 First, unwrap some of your favorite, juicy pink bubblegum. Make sure you get the forrealz bubblegum and not the candy-coated bubblegum. The wrapped Dubble Bubbles are perfect. Know what else I love? Zombie nails. Thanks, I did them myself. 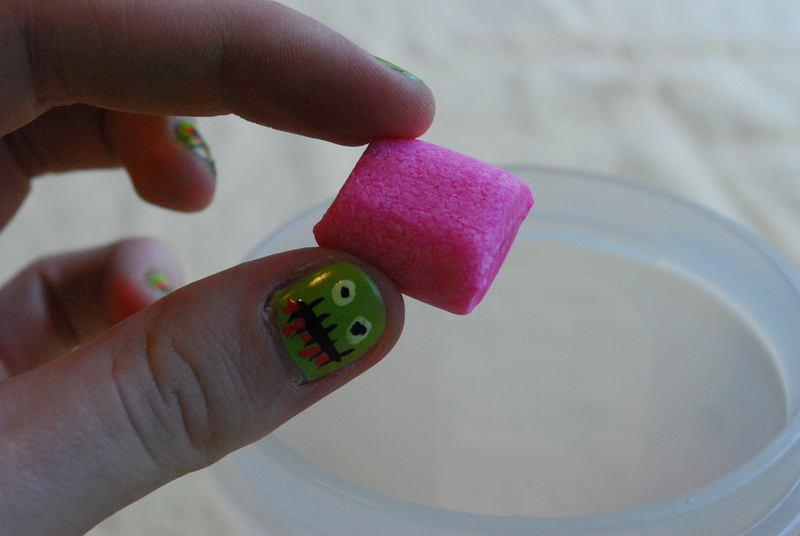 …then get this bubblegum DRUUUUUNNKKKKKKK. 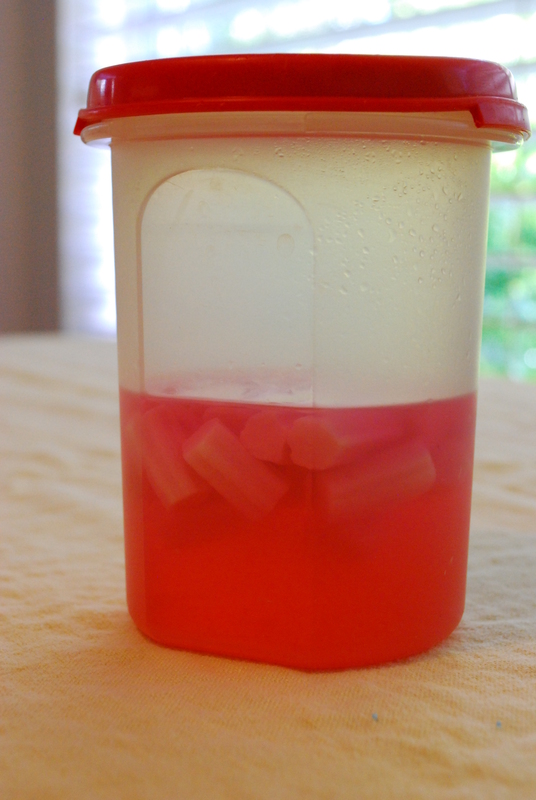 You want to fill the container so that it covers the bubblegum. Seal ’em up with the lid all nice and tight, and let these take a vodka bath for a week at the least–the longer they sit, the more intense the flavor. Look at it, all pretty in pink! Strain that puppy through a funnel into a mini bottle, label removed. Seal it up tight, tie on a ribbon, and gift to your friends, family, and anyone else you think deserves to taste something freakingamazing. Well don’t just stare at it. MAKE something! Folks, let me introduce you to Bubbletini. She’s really cool, sweet, and you definitely want to meet her. Whoa, now. It’s almost my cocktail time! 1. 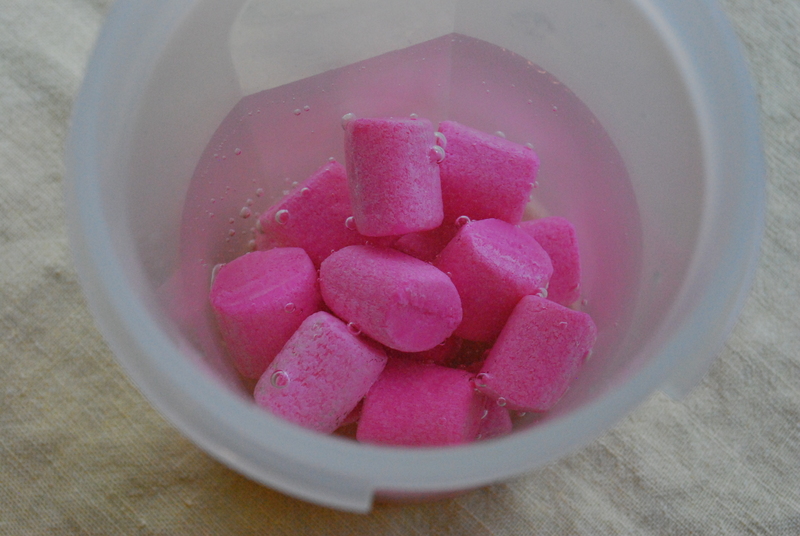 In an airtight container with a fitting lid, drop in bubblegum pieces. 2. 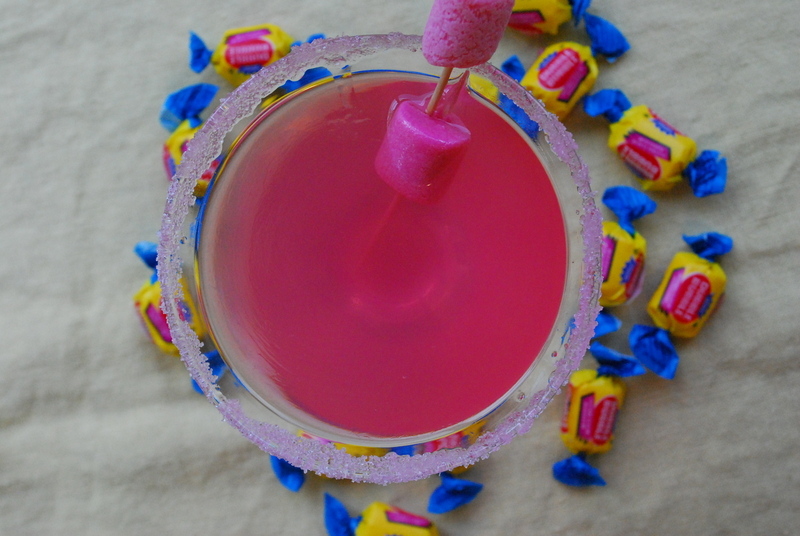 Pour the vodka over the top of the bubblegum, just enough to cover it. 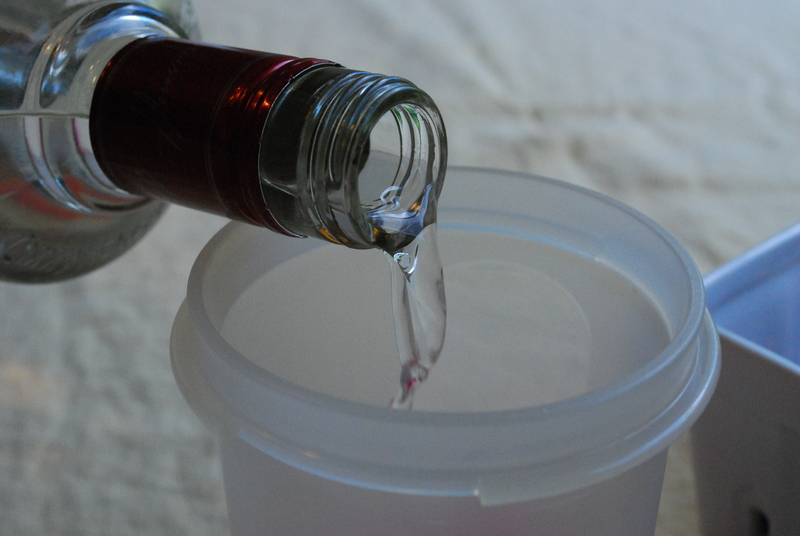 Attach the lid tightly and allow the vodka to ferment in a dark, cool place about a week at the least, up to three weeks. The longer it sits, the more intense the flavor. 3. Strain and funnel the vodka back into the mini bottle. Screw on the lid, tie a ribbon around it, and voila! All done. Cocktail time. 1. 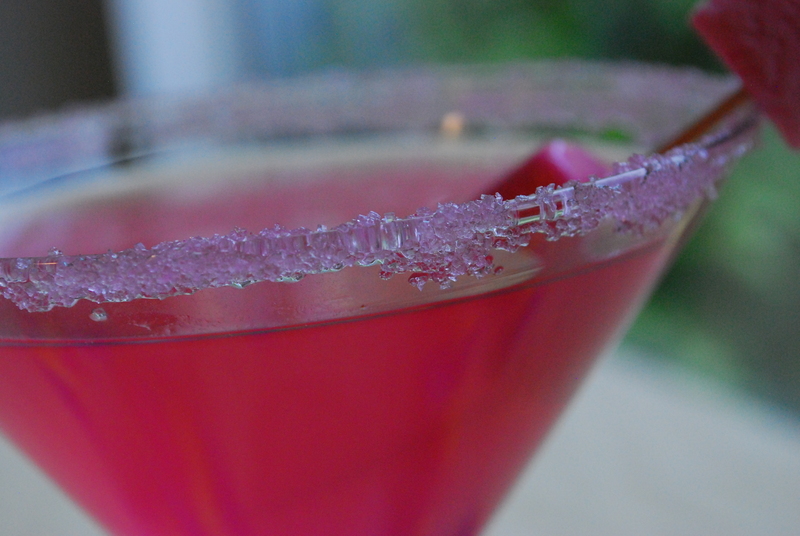 Rim your martini glass in pink sprinkles–it’s the hot thing to do. 2. In a cocktail shaker, bring together the bubblegum vodka, lemonade and ice. Shake vigorously and strain into the sprinkle-rimmed martini glass. Add the splash of club soda and grenadine. 3. Using two toothpicks, spear together two unwrapped pieces of gum and deposit it into the drink as a garnish. Juuuuust so you know, two of these in the dead afternoon make house cleaning REALLY easy. And fun! Blasting Spice Girls is totally optional. I can make my own flavored vodka instead of just buying it? Nice! Love it! So. Awesome. You rock, you know that? This is…cool. We totally need to have martinis together sometime. Some Friday night I’ll lock Mel in his office and we can get smashed on vodka. Oh, and the nails are SO cool. I would LOVE to get smashed with you! Either at our casas, or perhaps happy hour one of these nights?! That’s an awesome idea! Love it!!! this sounds so good. 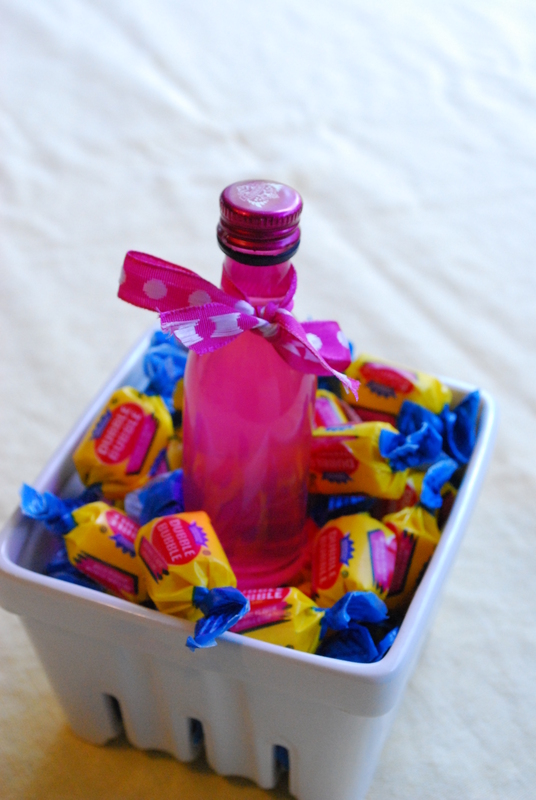 it would make a good bachelorette party drink/ goodie bag. i love ur blog by the way. 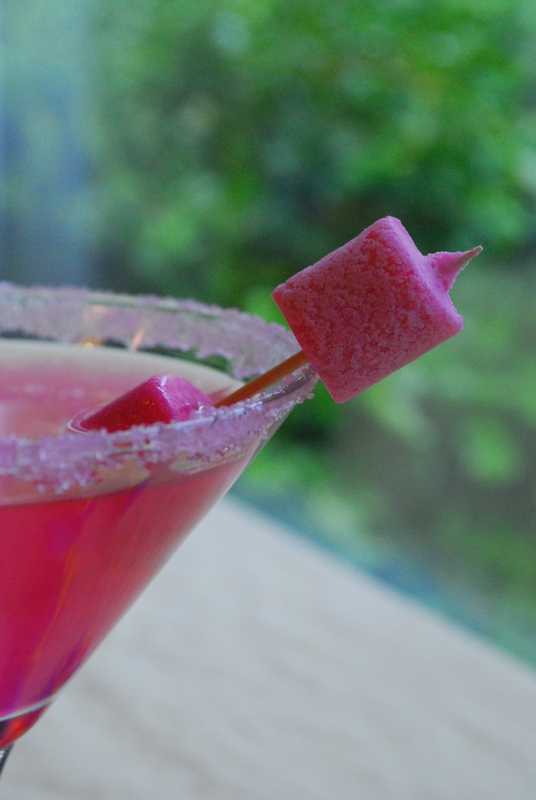 I’ve had myself many bubbletinis, and let me tell you…they’re fabulous!!! The Aloft hotel near Greenbay makes them in a huge glass tank right on the bar. Delicious! !